Still remember the Malaysian pop boy band KRU that swept the nation in the 90s with their catchy and unique blend of pop, R&B and hip hop tunes? Not only did they gain a huge fan base in Malaysia, but also managed garner some fans from countries like Brunei, Indonesia, and Singapore! 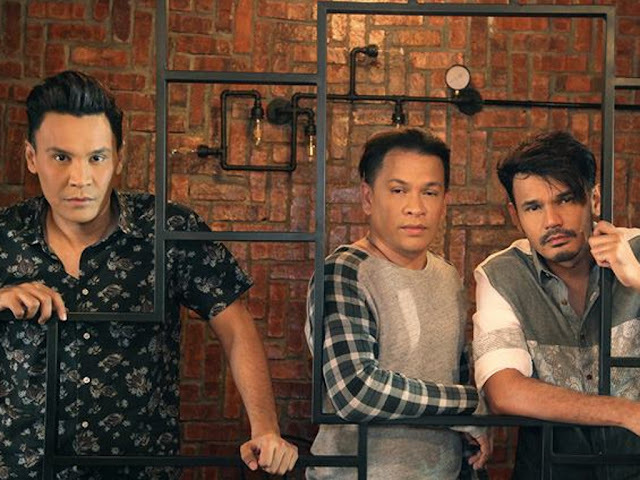 Made up of brothers Norman, Yusry and Edry, KRU is set to make their long-awaited return to Singapore with a concert to kick off their 25th anniversary celebrations. Under their label KRU Music, they've also launched the careers of several popular local artistes including Elite, MOJO, Forteen and Caliph Buskers. Come and join the brothers at Esplanade Singapore as they bring you an evening of their greatest hits such as "Ooh! La! La! ", "Awas! ", "Fanatik", "The Way We Jam", "Di Dalam Dilemma", "Terhangat di Pasaran", and of course, their newest song "Hingga Ke Jannah" too!